Dr. Dale Jacobson, D.C. was raised in Nevada City and has been a chiropractor in Nevada County for nearly 40 years. He works with his daughter Dr. Heather Hunt D.C., wife Diane and wonderful staff to bring a wealth of knowledge and an unforgettable humor to the treatment of his patients. 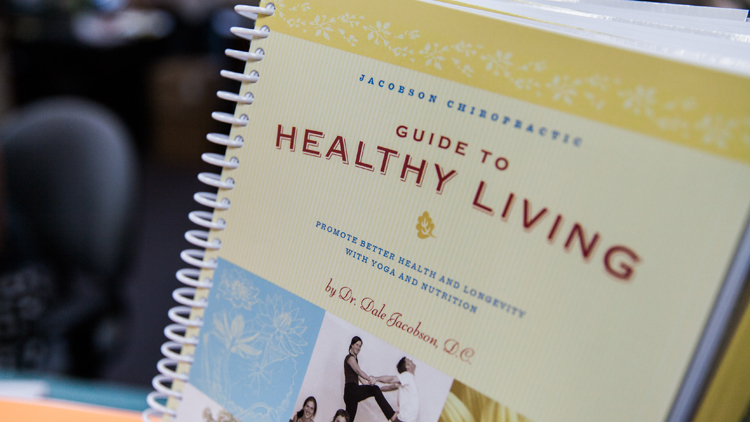 The doctors at Jacobson Chiropractic combine chiropractic, craniosacral therapy, stretching exercises, nutritional advice, functional medicine and much more to make a positive difference in lives, beyond the typical health care experience. Our office is a family practice and we look forward to including you in the family atmosphere, come see why our office has been voted “Best of Nevada County” so regularly. Internationally trained in motion palpation spinal analysis with emphasis on restoration of joint movement, deep tissue massage, whole food nutrition, stretching rehabilitation and prevention of joint dysfunction and pain. Come find out why we are voted best chiropractic office in Nevada County. Mother of three sons, specializing in Women’s Health, Functional Medicine, Nutrition, Craniosacral therapy, Visceral Manipulation, Pregnancy/Post-partum Care, Infant and Pediatrics. to soil health and MORE. Functional medicine simply shifts the focus to that of function and integration of people’s physiology in order to uncover the root cause of what is robbing their health. To initiate and maintain joint health and prevent joint degeneration/injury. Join our professionally led 14 or 21 Day Purification Cleanse based in whole food nutritional supplements and dietary changes to reset your health and make a positive change that could last a lifetime. the patient’s body’s own leading. Wonderful for the more sensitive patient. AMAZING! I’m from Montana and I pulled my back while visiting family in California. I am so fortunate to have visited this place, it has literally changed my life. Dr. Dale helped my back and more importantly fixed the migraines I had been having since I was a child. I have tried everything for these painful migraines! have been to the hospital countless times for expensive Imitrex shots to reduce severity but it turned out that my migraines were gut/bacteria related and a simple diet change fixed everything! I bought Dr. Dale’s book filled with smart articles about diet stuff and tons of stretches .This book is the funniest health book I have ever read. It’s technical but still very readable (you won’t fall asleep...you may lose sleep staying up reading and laughing). Recently my home flooded and the priceless book was destroyed. I went online his website to order another and found out I could download it fo’ free! Wow FREE? A big THANKS to Jacobson Chiropractic!